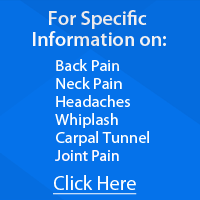 Suffering from chronic pain? Frequent pain can be frustrating and stressful to deal with. No matter a person’s gender or age, pain can alter anyone’s life within an instant. Whether it’s a severe migraine or debilitating back ache, pain can make life much more difficult. If you’re seeking an effective and safe treatment for managing your pain and discomfort, look no further than chiropractic. Chiropractic is a non-invasive, holistic, safe and effective procedure that focuses on the structure of the body. It involves using different types of techniques on various body parts to kick-start the body’s natural healing process. Chiropractic is used for treating a range of conditions, which includes back or neck pain, headaches and migraines, sciatica, frozen shoulder, fatigue, joint pain and more. Regular chiropractic care can reduce your pain and improve your range of motion. Shelby County Chiropractic specializes in providing chiropractic care for treating several health conditions, such as headache, migraine, neck pain, hip pain, back pain, and more. If you are seeking lasting pain-relief and a happier, healthier lifestyle, contact us today!